Prove you're the #1 Hershey Bears fan with this 27"x37" vertical flag by Wincraft. 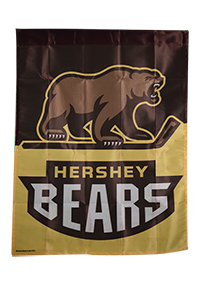 Show the world you support the Hershey Bears on game day with this eye-catching double sided flag! Fly this flag with pride to show your team spirit!